Summer always on my mind. 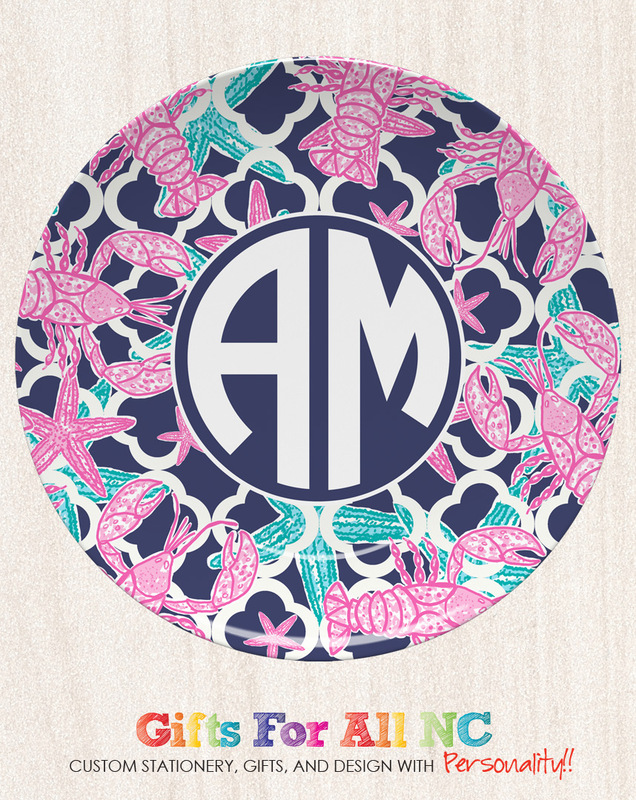 Don't leave summer behind, enjoy this summer starfish and lobster monogram Paper. This 10" plate is a ThermoSaf® Polymer. It is Microwave safe, Safe for use in Convection or Conventional ovens, Dishwasher-safe, BPA- free, Contains No Melamine or Formaldehyde, 100% manufactured in the U.S.A.
You may include text or monogram for personalization. The order takes up to three weeks to process*. Shipping time is additional. Average time to receive your product is four week. 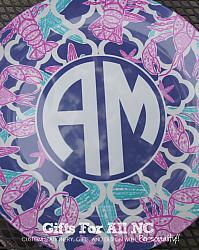 ** Our personalized tableware are custom made after you purchase. In the making of the tableware (plate /bowl/platter/ mugs), there may be minor imperfections or subtle marks noted on the item. 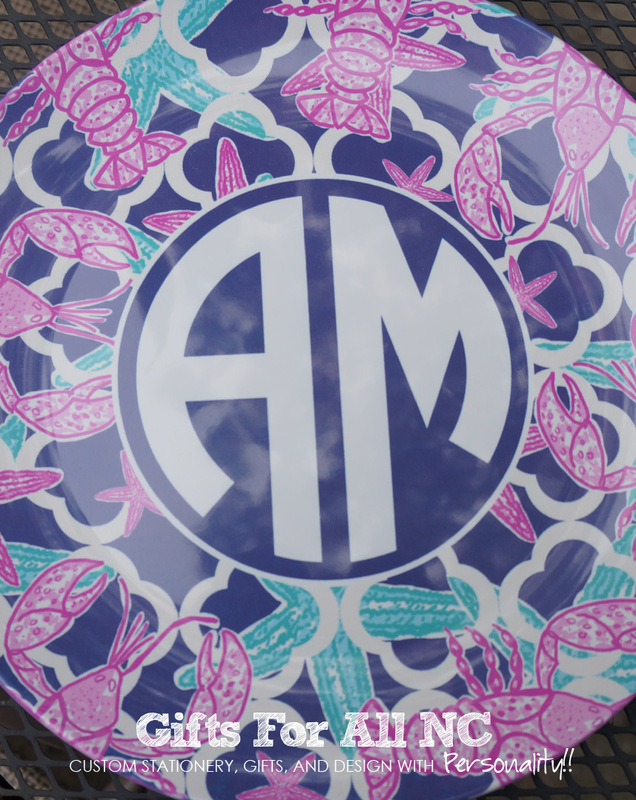 This is not a defect and in no way affects the quality of your personalized tableware. It is part of the production process and cannot be avoided. Tableware with these characteristics will not be replaced.